GROWING FOR A HEALTHIER TOMORROW TODAY!! 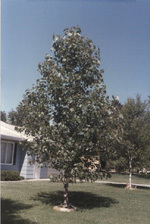 Hybrid poplar are used extensively as ornamentals for quick shade or cover. They can grow 4 to 8 feet per year, given adequate moisture and nutrients and can reach a height of 20 feet or more in less than 5 years. For this reason, they make good windbreaks, privacy screens, and quick shade trees. Their large leaves enable them to create good coverage for protecting homes from the hot summer sun. The hybrids we provide have all been tested for their resistance to disease and insect attack. Life expectancy is 40 to 60 years. 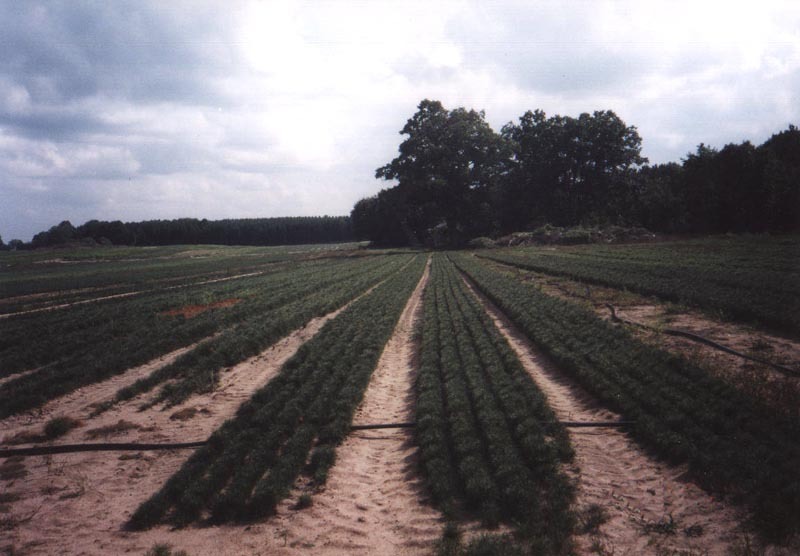 In planting for windbreaks or shelterbelts, the trees should be planted 8 to 10 feet apart with multiple staggered rows better than single rows. Rooted cuttings should be planted at least 1 foot deep whereas unrooted cuttings should be planted with buds pointing up and only 1 inch showing above ground. In all cases, weeds and other vegetation should be kept away from the tree for at least 2 years after planting. We market both rooted and unrooted cuttings. In small plantings, rooted cuttings will give quicker results especially the larger trees. Unrooted or small rooted cuttings are usually used in large plantings where economy is important. Unrooted cuttings will root readily with no special treatment, however, care must be taken to keep all vegetation meticulously away from the tree as it sprouts. 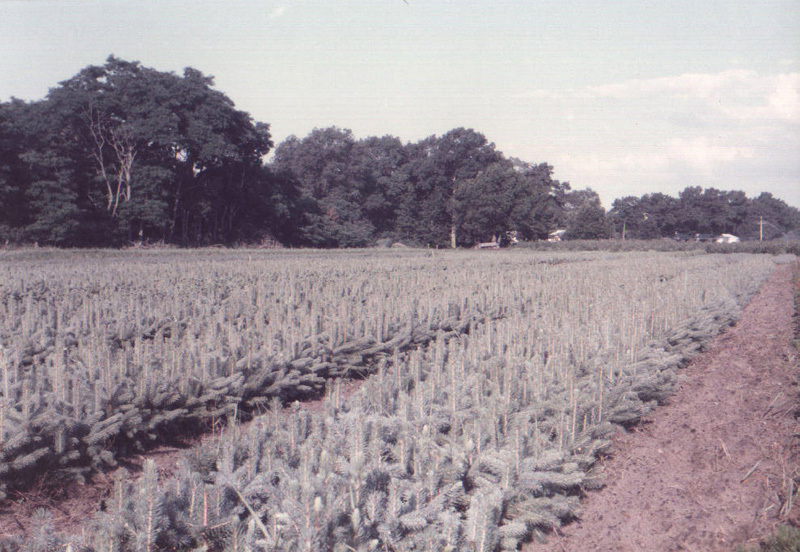 Growth of 3 to 6 feet is not unusual during the first year. Click Here for complete list and prices. Black Hill Spruce (Picea glauca densata). Dense, shapely tree with good blue-green color for ornamental, windbreak or Christmas tree use. Short needles. Zones 2-8. Colorado Blue Spruce (Picea pungens). Grows to 60’. Stiff silvery blue to green needles. 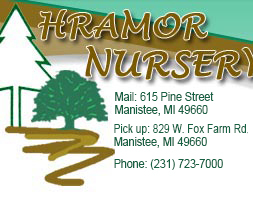 Handsome ornamental planted singly or dense as screen or windbreak. Tolerates ordinary soil, moistures and full sun. Zones 2-7. Click Here for a complete list and prices. Dawn Redwood (Metasequoia). Lovely as ornamental and distictive as a privacy screen. They lose their feathery soft light green needles after they turn to a coppery brown in the fall. They have an exposed red brown bark throughout the winter. Fast grower. 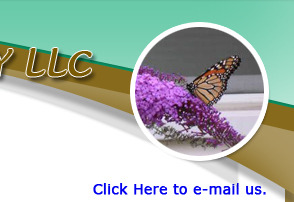 Resistant to pests and diseases. Perform in moist well drained soils. Hardy in zones 4-8. White Pine (Pinus strobus). Fast growing to 100'. Valued for its timber. Excellent windbreak, ornamental and Christmas tree. Long soft green needles. Adapts to many soil types. Zones 3-8. Lilac (Syringa vulgaris). Fast growing, reaching a height of over 15’. Makes an effective screen in 3-4 years when planted 6-8’ apart. 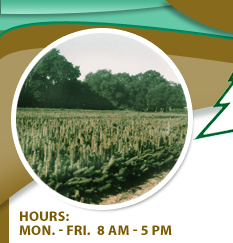 Requires well-drained, silty, clayed or loamy soils. Does not tolerate wet soils. Needs full sun to bloom. Drought resistant. Large fragrant flowers in mid-Spring after leaves appear. Can be trimmed into hedge. Long lived. Zones 3-7. Ninebark (Physocarpus opulifolius). Deciduous shrubs with shreddy bark. Does best in full sunlight or light shade. Relatively free from diseases. Flowers white in flat top clusters from May to July. Red Fruit persists through winter. Grows 3-10’. Zones 2-9. Red Oak (Quercus rubra). Grows fast to 80'. Forms a tall round top with red leaves in fall. Often planted as a shade tree. Adaptable to many soil types and environmental conditions. Zones 4-8. Trumpet Vine (Campsis radicans). Clusters of orange to orange-red trumpet shape flowers are produced on this vine. Climbs up to 25'. Not particular to soil types but takes full sun. Zones 3-8. 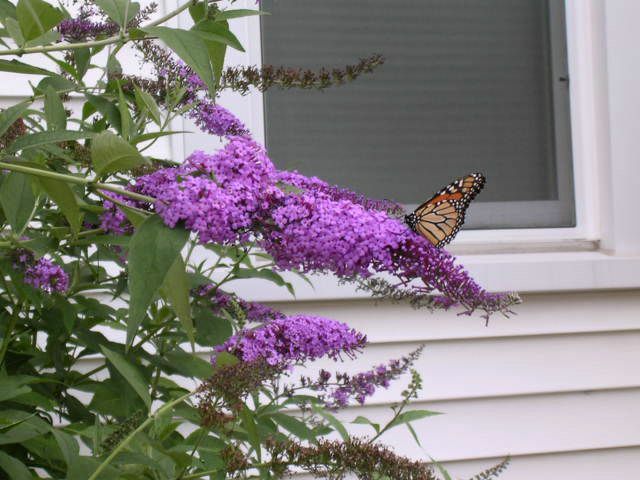 Butterfly Bush (Buddleia davidii). 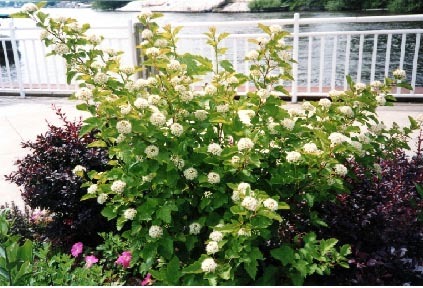 Vigorous deciduous shrub producing long spike of blue/purple flowers in July/August. Grows 6' tall. Does best in full sun and moist well drained soils. Attracts butterflies. In cold climates acts as a perennial and dies back to ground. Called the Summer Lilac. Zones 4-9. Rosa Rugosa Lovely shrub with great scent. Pink flower clusters give the bush a great showing when in bloom. Hardy, disease resistant. Rose hips persist through winter. Loved by birds. Rose of Sharon (Hibiscus syriacus).Upright shrub produces blooms of single and double styles ranging in colors (white, blue, pink). Does best in full sun. Attracts hummingbirds. Great landscaping accent. Grows 7' tall. Zones 4-9. Liatris Spicata. Also known as blazing star or gay feather perennial. Plant bulbs three to four inches apart and five inches deep. Flowers in July / August with purple or white spikes. Hardy in zones 3-4 with mulch, 5-9 without mulch. Attracts butterflies and hummingbirds.